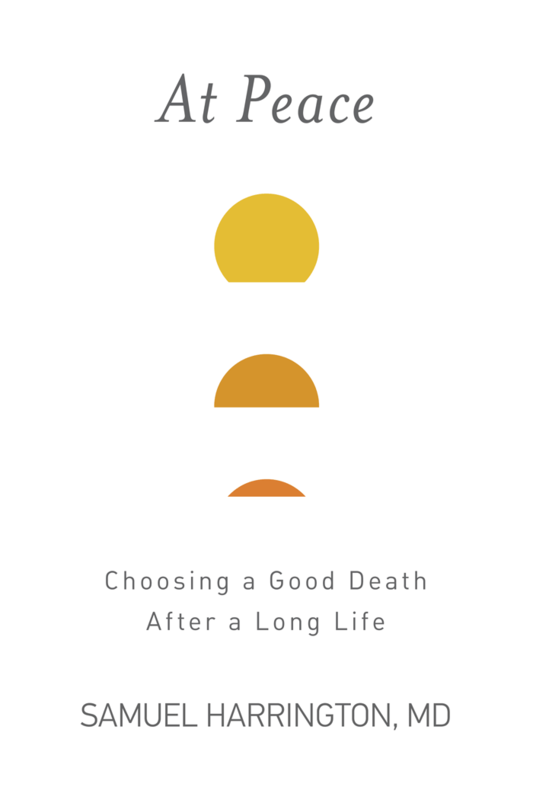 How do you choose a good death after a long life? If you read Being Mortal but were left with questions about what to do at the end of a long life, At Peace by Samuel Harrington, MD will answer those questions. This book helps elderly patients and their families take a thoughtful look at health care when aging, the clinical course of common terminal illnesses, and the process of making choices that lead toward a more natural death that avoids excessive and ineffective technology.